The Aurora Enlite E5 fixed fire rated downlights set new levels in performance, featuring the Enlite low glare multifaceted EnFiniti lens. 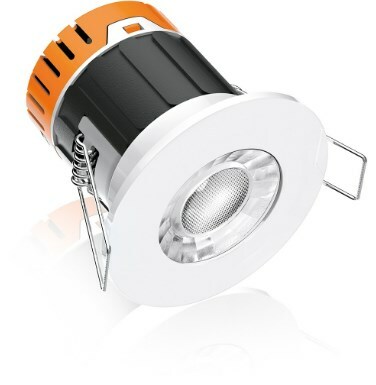 Delivering up to 380lm for Fixed from only 4.5W. The E5 range is packed with features and benefits which allow for a quick and cost effective installation while still providing users with visual performance and energy saving LED technology.